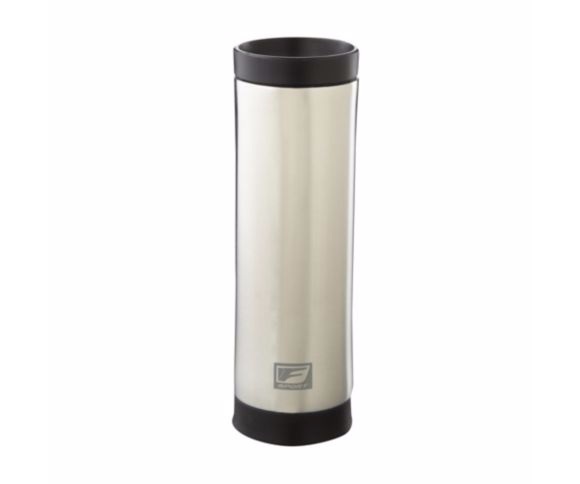 Stainless steel, double-wall thermal tumbler is vacuum insulated to ensure beverages stay hot or cold. Screw-on lid with rotation lock to prevent spills. Hand wash. 16 oz.